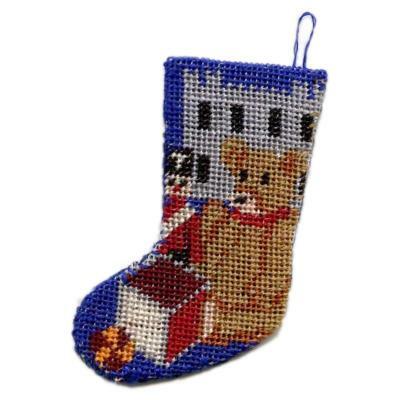 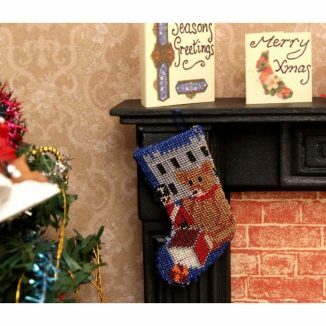 This stocking design features traditional toys, suitable for a boy. 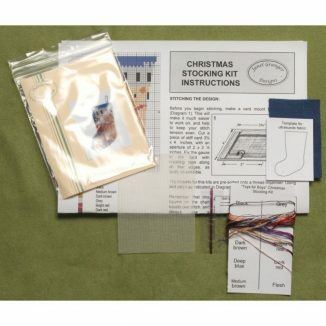 The kit includes 40 count silk gauze, a colour block chart, detailed instructions, Rayon silk thread, a suitable needle, and ultrasuede fabric for the backing. 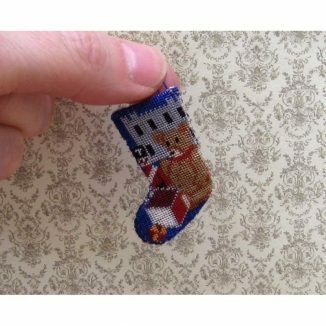 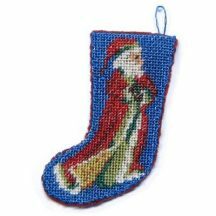 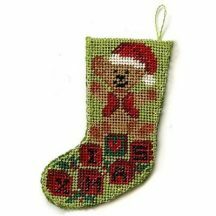 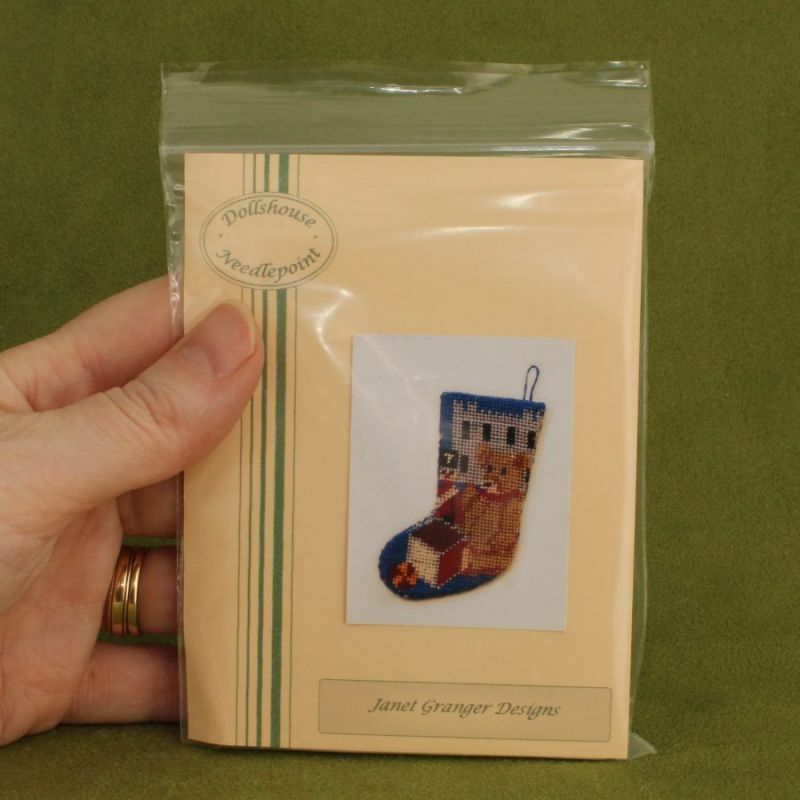 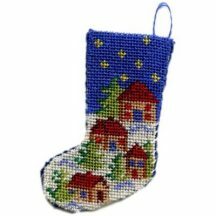 When completed, the stocking measures 1.4 inches high, not including the hanging loop.